Indie rockers Courteeners will tour the UK in December 2013, concluding with a hometown gig at Manchester Phones 4U Arena on Friday 13th. The band, who released their third top ten album, ANNA, earlier this year, will kick off the tour at Preston 53 Degrees on December 2. Cities on the itinerary include Birmingham, Lincoln and London. Two singles have been taken from ANNA, Lose Control and Van Der Graaff. Courteeners followed up their debut album, St Jude, with Falcon three years ago. 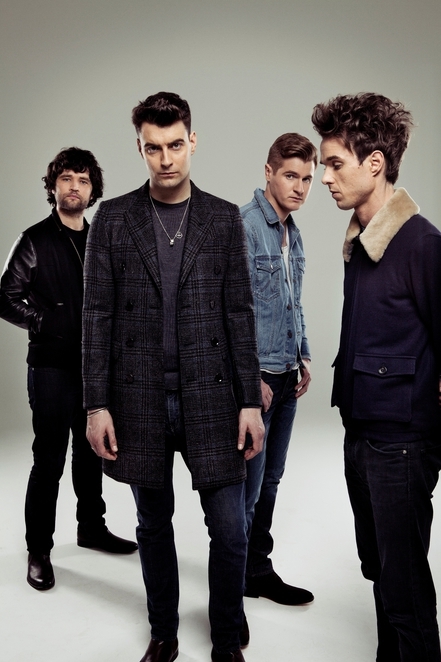 The quartet – Liam Fray, Michael Campbell, Daniel 'Conan' Moores, and Mark Cuppello – undertook their biggest headline tour to date earlier this year with a sold Brixton Academy show a particular highlight. They also performed as second headliners at UK festivals including Glastonbury, T in the Park and V Festival and sold out two concerts at Manchester's Castlefield Bowl with support from the Miles Kane and The Strypes. 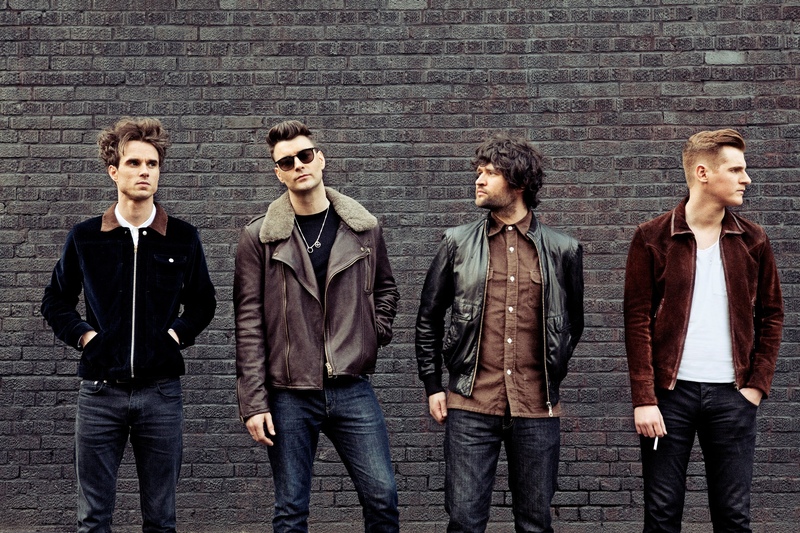 Lead singer Liam Fray will be heading out on a sold out acoustic tour, starting at Liverpool O2 Academy on September 19 and taking in Leeds, Glasgow, Oxford, Portsmouth, London and Sheffield before finishing with two shows at Manchester Ritz on September29. 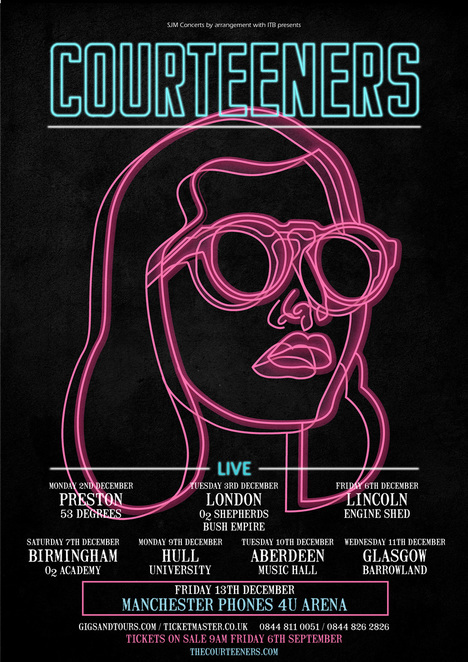 The Manchester show of their December tour will be the third time Courteeners have headlined Manchester Phones 4U Arena in the last four years and follows last December's packed out show to 17,000 people. Fri 13th: Manchester Phones 4U Arena. Cost: £23.50 in Manchester, £19.50 in London and £18.50 for all other regional dates.